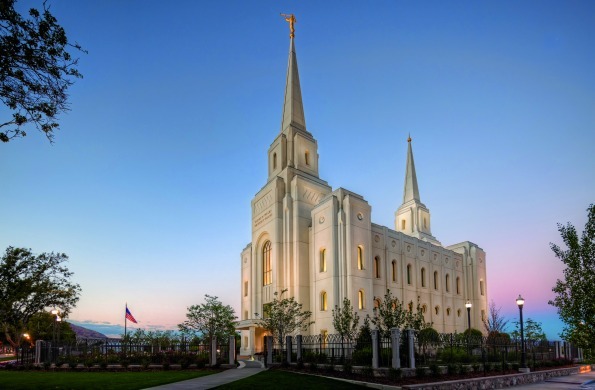 This is one in a series of blog posts about Lauren’s conversion to The Church of Jesus Christ of Latter-day Saints. To read more about her experience, you can find the rest of her posts here. Halfway through summer, my friends and I made a road trip to Brigham City, Utah. I was attending a wedding with my friend Matt (spoiler alert: a year in the future, he and I get married) and I was checking out Utah State’s campus. One of the best friends I had made that summer was transferring there and she was encouraging me to transfer as well. I really had no better plans, and had fallen in love with Utah at this point, so I was open to it. The night before the wedding, I was sleeping at my friend’s family’s house. I remember sitting on her bed with her as she pulled out photos from her mission. She had served in Peru, and her room was decorated with little alpaca fur figurines. As we flipped through the photos, I asked her what some of her favorite memories from her mission were. Not going to lie, this was my favorite question to ask members who had served missions. I loved the way their faces changed, softness kissing their features, a simple, pure light in their eyes. The stories were never about the magnificent oceans they had seen or fun things they had done—it was always the most humble moments, where a single person or family fell in love with Christ. I loved it. 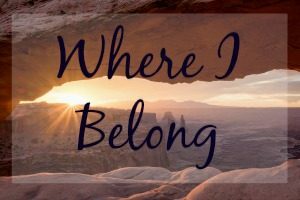 And as we lay there, drinking in the most intimate, simple love emanating from her mission stories, I felt it: this strong desire to become a part of this beautiful thing I did not quite understand. I wanted it so bad. I wanted to share in this light and love my friend had found. I wanted to be so passionate about something that I too would serve two years of my life for it, asking nothing in return. I told her softly that I wanted to become a member—this was the first moment these words left my lips—but that I did not know if the Church was true yet. We talked about baptisms, and how I did not want to commit to this Church until I felt Christ tell me it was true. He was my guiding light, and I would follow Him wherever He brought me. I wanted to finished the Book of Mormon first, I said. I needed to be sure this was His church. She then showed me scriptures in the Holy Bible referencing Christ’s other flock he planned to visit—and how it perfectly fit in with the Book of Mormon. I was amazed by how much the Bible actually references the Book of Mormon when you look closely. I felt engulfed by this honey-like, sweet calmness as we read these words. I want it to be true, my heart ached with every page of scripture. The next day, my friend Matt and I drove to the Salt Lake Temple. I had never seen it in person before—as a child I had found an old, beat up picture of it, and kept it hidden in my closet, unable to throw it away and mesmerized by how much it looked like a castle. In person, I was completely awestruck. The Temple soured brilliantly into the sky, and girls in wedding dresses were floating around everywhere with their families. Matt attended the wedding ceremony inside the temple while I roamed the temple grounds. 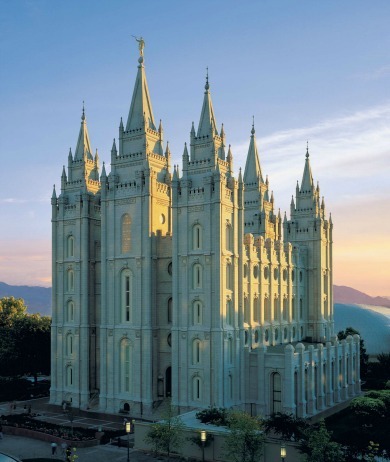 There was plenty to do; Temple Square has many museums dedicated to the Church’s History. As I wandered these museums, I found pictures and statues dedicated to the events of the Bible. I felt stirred by how much I already agreed with doctrine that belonged to the Church! I jotted down scriptures I found that were particularly moving. Families that would be able to stay together forever; Christ acting as a Savior and Redeemer; a loving Heavenly Father, all of us being His spirit children. A Heavenly Mother. These were all the same founding principles my heart knew to be true. It was so easy to find truth in this Church. But I still had unanswered questions! And like the assertive, opinionated loudmouth woman I am, I marched up to every missionary I could find, asking my same questions. Over and over. My heart sank bitterly every time someone had a response I did not agree with. I’d thank them, turn my head and trot away, determined to find someone with the answers I so desperately needed. But no one had my opinions, and that was good as wrong to me. Eventually I ended up in an old-fashioned, brick tabernacle. I slipped into the back wooden pews, and trying my best not to make a scene, let ugly globs of snot drip from my nose as my eyes leaked all over the floors. I squeezed my eyes shut, praying with every amount of desperation my body could muster. I asked Christ and God, over and over, about my questions. I begged Him to tell me if this Church was true. Pleading for some sort of sign. If it is true, I promise I will convert. Just please tell me. Give me a sign, please, please answer my questions. A sister missionary, soft and doe-like, softly asked if she could sit with me. So deep in prayer, I jumped in shock, and quickly tried to wipe my red play-doh face away. “Uh, yeah. Sure,” I stuttered. She slid in next to me, calm and smiling. She asked me simple questions about myself, and just like that I poured into her—tears, snot, and all. Sometimes it can be easier opening up those deep, squishy, vulnerable parts of yourself to a complete stranger. She didn’t answer the questions I had that day; there was quite a bit we did not agree on. But for the first time, I realized one church having truth did not invalidate the experiences of another church. I felt Christ in my old Christian church, there was no doubt about that. But there was a possibility for more truth. A fullness of gospel. The LDS Church having truth did not take away my previous experiences with Christ and the truth preached there. There is truth and power in the Bible, and this can be found in a rainbow of religions. The fact of the matter is Christ loves every single person, religious or nonreligious. He loves every person, no matter their ethnicity, gender, sexuality, or socioeconomic status. He loves everyone. And I know, in the deepest part of my soul that He will reach out to everyone that He can, in whatever way possible. This can be manifested in the little blessing in our lives that we don’t even recognize as Him! This may be Him reaching out to you through a different faith, because He knows it is the closest way He can reach you. “I will give unto the children of men line upon line, precept upon precept, here a little and there a little; and blessed are those who harken onto my precepts, and lend an ear unto my counsel, for they shall learn wisdom, for unto him that receiveth I will give more; and from them that shall say, We have enough, from them shall be taken away even that which they have” (2 Nephi 28:30). Just as the Book of Mormon says, Heavenly Father was revealing truth to me in amounts I could handle and understand. 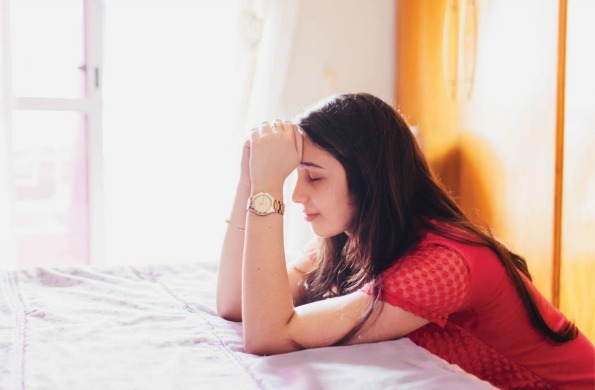 If you asked me to become a member of the Church of Jesus Christ of Latter-day Saint while I was living in Ashland, Oregon—checking off every sin on the list—it would have been an incredibly difficult transition. My Christian church allowed me to develop a relationship with Christ that grew and grew until I was ready for bigger commitments, covenants, and a fullness of knowledge. But are you willing to investigate an unfamiliar faith to see if you can find something that feels in your bones like something you have known to be true since before you were born? Are you willing to ask yourself, if there is more Christ wants us to learn? Or if there is more to life than simply living to the fullest extent until we reach the end? Or are we willing to settle with, “I believe in God, I believe in an afterlife” without fully investigating how it came to be, how we can eventually get there, and who God truly is? Is it worth not having eternity with the ones you love? To read more of Lauren’s articles, click here. I do not believe contentment in this life is worth the possibility of passing up on eternity in the next. I believe God’s path challenges us to constantly reanalyze our beliefs until we find the most truth. It is essential to humble ourselves enough to seek in His name; to kneel as Joseph Smith once did and ask the Lord what His truth is? Because I promise the reward will be sweeter than anything here on this earth. Are you willing to ask these questions, and then commit to His church when Heavenly Father gives you the answer? Because I know He will. Ask the question in faith and love and eventually a quiet, still voice will answer. It may take time (and work on your end) but He will. My little Christian church was a necessity. It was a stepping stone in my journey, with truth and joy and love… but it was not the destination. I was racing full speed towards the moment that would change my life forever. As a homegrown Portlandian feminist, Lauren Mckinnon sometimes wondered how she fit in as a new member of The Church of Jesus Christ of Latter-day Saints — but through her testimony and everyday experience, she realized that no matter how different we may feel, we all belong in Jesus’ flock.